Filmed in front of a live audience of family caregivers, this DVD tackles both the challenges faced by caregivers as well as many of the options for caregiver self-care. It is packed with humor and stories from real life. 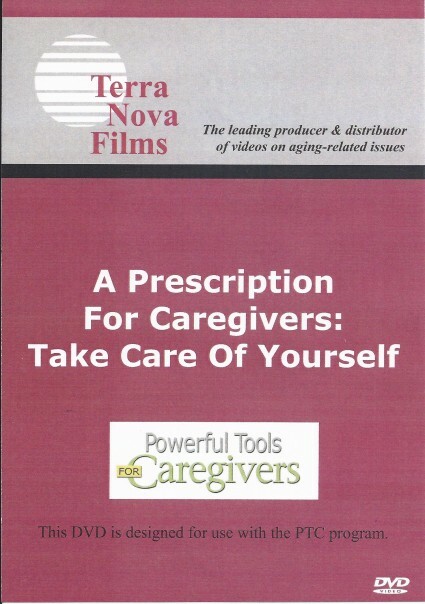 This DVD was edited from its original hour-long format, specifically for use in the Powerful Tools for Caregivers program. It is 21 minutes in length and is divided into two segments to be used as directed in the Class Leader Script given to trained and certified PTC Class Leaders. For more information, and to order additional copies, please visit the powerfultoolsforcargivers.org website. Note: Powerful Tools for Caregivers Partners: If you need to pay by check, call us at 800.779.8491 and we will assist you in placing your order. The full, 60 minute, presentation is also available. Click here for more information.